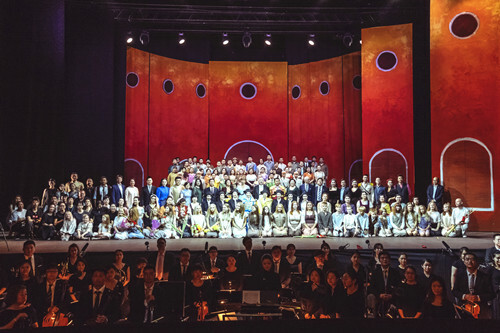 On 19-21 July, the Shanghai Opera House (SOH) participated in the 2018 Saaremaa Opera Festival in Estonia as the guest of honor, presenting three repertoires to the audience, including Carmen, dance gala and Chinese original work The Wager. 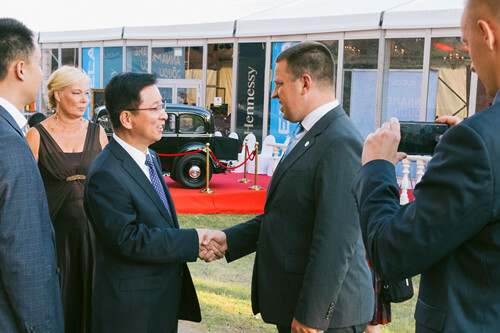 Accompanied by Chinese Ambassador Li Chao, the Estonian President H.E. Mrs. Kersti Kaljulaid, the Prime Minister H.E. Mr. Jüri Ratas, the Speaker of the Parliament H.E. Mr. Eiki Nestor, ministers, members of the Riigikogu, former ministers of culure watched the performances. More than 6,000 people from Estonia and other countries watched the shows. 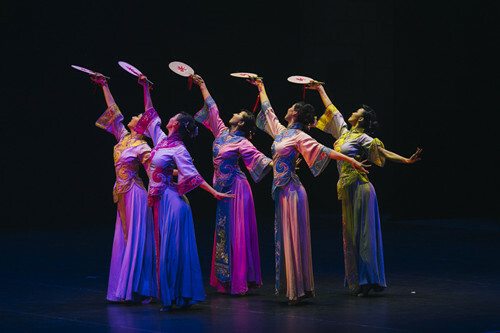 The excellent performances and professionalism of Chinese artists were highly appreciated by the audience. After the performance of Carmen on 19th July, President Kaljulaid met the artists of SOH and gave an interview to Shanghai Television. 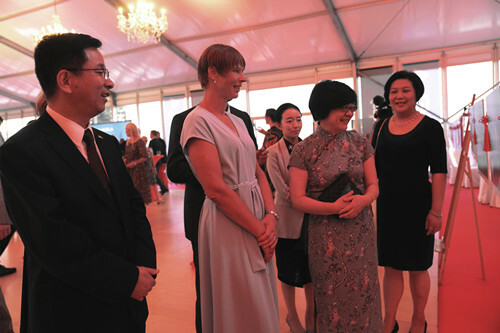 She warmly congratulated SOH on the successful performance and spoke highly of the culture exchanges between Estonia and China. 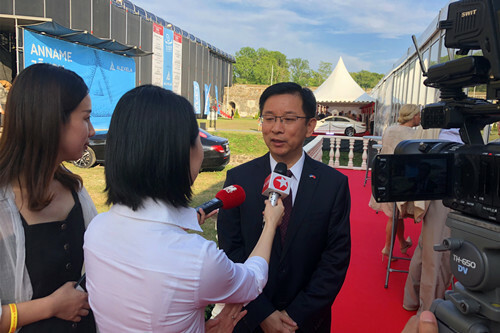 She said the participation of SOH in Saaremaa Opera Festival is one of the largest culture exchange programs between the two countries, which promotes mutually understanding between the Estonian and the Chinese people. The President hoped organizations of both countries will strengthen their cooperation in order to bring more high-level culture events to the people. During the three-day performance, the Estonian President and the Prime Minister also visited the photo exhibition on cooperation of SOH with organizations with other countries. The first opera festival in Estonia was born in 1999 in Kuressaare on the Island of Saaremaa. Festival is held at the medieval Episcopal Castle of Kuressaare. Since 2008, the festival is organized by Eesti Kontsert. Saaremaa Opera Festival is one of the most important culture events in Estonia and in the Baltic region. 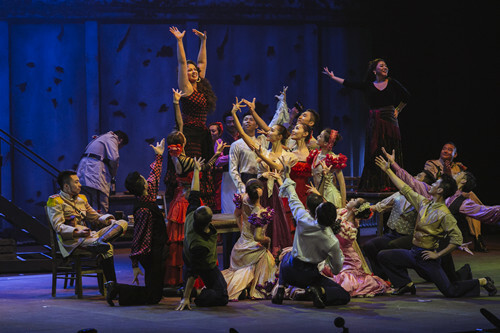 Several high-level opera houses from Russia, Italy, the United States, Poland, Georgia and so on presented their best productions during previous festivals. 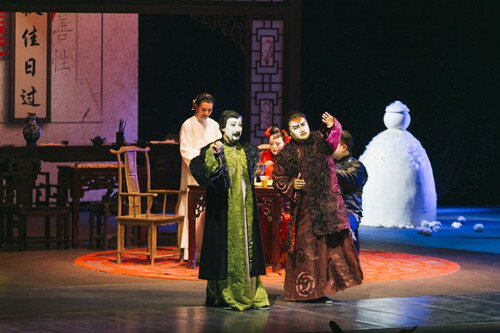 It was the first time a Chinese opera house – the Shanghai Opera House participated in the festival.